Piedmont Lithium Limited is happy to report completion of its Phase 3 Drilling Program and has received assay results from an additional 26 holes from its Core property in the Carolina Tin-Spodumene Belt ("TSB") in North Carolina, United States. Piedmont plans to release a maiden Mineral Resource estimate on the Core property compliant with the JORC Code in the weeks ahead. For the Phase 3 program, Piedmont has finished 124 holes totaling 21,360 m on its Core property. Assays from 15 remaining holes from the Phase 3 campaign are pending. 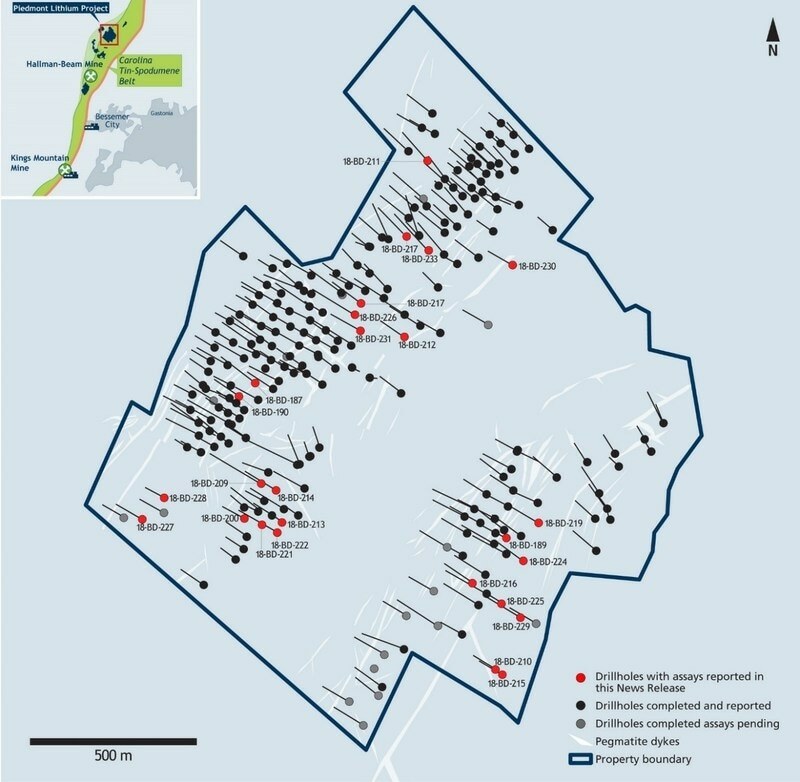 Operational efficiencies during the Phase 3 drilling budget enabled Piedmont to surpass the planned meterage of 20,000 m by 1,360 m and will allow for preliminary drilling on the Sunnyside and Central properties. The required state permits have been received and drilling has commenced at the Sunnyside Property with one hole completed. Results of drilling in these exploratory areas will be published shortly. Drilling on the core property is now complete and we look forward to issuing our maiden Mineral Resource estimate in the near future, accompanied by a revised exploration target. Additionally, we are excited about the exploration drilling that has commenced at Sunnyside and hopeful that we will identify significant resource upside on that property.